Jonathan has lived in South West London all of his life and went to school in Hampton. 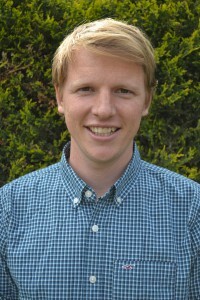 Jonathan attended the University of Bath where he completed a Sports and Exercise Degree which included a placement year working in Australia and New Zealand. Jonathan completed his teacher training at Fox Primary School where on completion he joined the Ashburnham Community School team in 2013 teaching Year 5. In his spare time Jonathan enjoys playing sport, in particular tennis. Before teaching, he coached tennis at a variety of tennis clubs, primary and secondary schools and has worked at Wimbledon and the London 2012 Olympics. Jonathan loves working at Ashburnham because it is made up of such a special group of people. His proudest moment came in 2015 when Ashburnham were awarded their ‘Outstanding’ grade recognising everyone’s hard work.